Execute AAA only following an ADD instruction that leaves a byte result in the AL register. The lower nibbles of the operands of the ADD instruction should be in the range 0 through 9 (BCD digits). In this case, AAA adjusts AL to contain the correct decimal digit result. If the addition produced a decimal carry, the AH register is incremented, and the carry and auxiliary carry flags are set to 1. If there was no decimal carry, the carry and auxiliary flags are set to 0 and AH is unchanged. In either case, AL is left with its top nibble set to 0. To convert AL to an ASCII result, follow the AAA instruction with OR AL, 30H. AAD is used to prepare two unpacked BCD digits (the least-significant digit in AL, the most-significant digit in AH) for a division operation that will yield an unpacked result. This is accomplished by setting AL to AL + (10 * AH), and then setting AH to 0. AX is then equal to the binary equivalent of the original unpacked two-digit number. Execute AAM only after executing a MUL instruction between two unpacked BCD digits that leaves the result in the AX register. Because the result is less than 100, it is contained entirely in the AL register. AAM unpacks the AL result by dividing AL by 10, leaving the quotient (most-significant digit) in AH and the remainder (least-significant digit) in AL. Execute AAS only after a SUB instruction that leaves the byte result in the AL register. The lower nibbles of the operands of the SUB instruction must have been in the range 0 through 9 (BCD digits). In this case, AAS adjusts AL so it contains the correct decimal digit result. If the subtraction produced a decimal carry, the AH register is decremented, and the carry and auxiliary carry flags are set to 1. If no decimal carry occurred, the carry and auxiliary carry flags are set to 0, and AH is unchanged. In either case, AL is left with its top nibble set to 0. To convert AL to an ASCII result, follow the AAS with OR AL, 30H. ADC performs an integer addition of the two operands DEST and SRC and the carry flag, CF. The result of the addition is assigned to the first operand (DEST), and the flags are set accordingly. ADC is usually executed as part of a multi-byte or multi-word addition operation. When an immediate byte value is added to a word or doubleword operand, the immediate value is first sign-extended to the size of the word or doubleword operand. ADD performs an integer addition of the two operands (DEST and SRC). The result of the addition is assigned to the first operand (DEST), and the flags are set accordingly. When an immediate byte is added to a word or doubleword operand, the immediate value is sign-extended to the size of the word or doubleword operand. Each bit of the result of the AND instruction is a 1 if both corresponding bits of the operands are 1; otherwise, it becomes a 0. The ARPL instruction has two operands. The first operand is a 16-bit memory variable or word register that contains the value of a selector. The second operand is a word register. If the RPL field ("requested privilege level"--bottom two bits) of the first operand is less than the RPL field of the second operand, the zero flag is set to 1 and the RPL field of the first operand is increased to match the second operand. Otherwise, the zero flag is set to 0 and no change is made to the first operand. ARPL appears in operating system software, not in application programs. It is used to guarantee that a selector parameter to a subroutine does not request more privilege than the caller is allowed. The second operand of ARPL is normally a register that contains the CS selector value of the caller. is the number of leading zero bits. BSF scans the bits in the second word or doubleword operand starting with bit 0. The ZF flag is cleared if the bits are all 0; otherwise, the ZF flag is set and the destination register is loaded with the bit index of the first set bit. BSR scans the bits in the second word or doubleword operand from the most significant bit to the least significant bit. The ZF flag is cleared if the bits are all 0; otherwise, ZF is set and the destination register is loaded with the bit index of the first set bit found when scanning in the reverse direction. BT saves the value of the bit indicated by the base (first operand) and the bit offset (second operand) into the carry flag. The index of the selected bit can be given by the immediate constant in the instruction or by a value in a general register. Only an 8-bit immediate value is used in the instruction. This operand is taken modulo 32, so the range of immediate bit offsets is 0..31. This allows any bit within a register to be selected. For memory bit strings, this immediate field gives only the bit offset within a word or doubleword. Immediate bit offsets larger than 31 are supported by using the immediate bit offset field in combination with the displacement field of the memory operand. The low-order 3 to 5 bits of the immediate bit offset are stored in the immediate bit offset field, and the high-order 27 to 29 bits are shifted and combined with the byte displacement in the addressing mode. for a 16-bit operand size. It may do so even when only a single byte needs to be accessed in order to reach the given bit. You must therefore avoid referencing areas of memory close to address space holes. In particular, avoid references to memory-mapped I/O registers. Instead, use the MOV instructions to load from or store to these addresses, and use the register form of these instructions to manipulate the data. BTC saves the value of the bit indicated by the base (first operand) and the bit offset (second operand) into the carry flag and then complements the bit. BTR saves the value of the bit indicated by the base (first operand) and the bit offset (second operand) into the carry flag and then stores 0 in the bit. The index of the selected bit can be given by the immediate constant in the instruction or by a value in a general register. Only an 8-bit immediate value is used in the instruction. This operand is taken modulo 32, so the range of immediate bit offsets is 0..31. This allows any bit within a register to be selected. For memory bit strings, this immediate field gives only the bit offset within a word or doubleword. Immediate bit offsets larger than 31 (or 15) are supported by using the immediate bit offset field in combination with the displacement field of the memory operand. The low-order 3 to 5 bits of the immediate bit offset are stored in the immediate bit offset field, and the high-order 27 to 29 bits are shifted and combined with the byte displacement in the addressing mode. BTS saves the value of the bit indicated by the base (first operand) and the bit offset (second operand) into the carry flag and then stores 1 in the bit. The index of the selected bit can be given by the immediate constant in the instruction or by a value in a general register. Only an 8-bit immediate value is used in the instruction. This operand is taken modulo 32, so the range of immediate bit offsets is 0..31. This allows any bit within a register to be selected. For memory bit strings, this immediate field gives only the bit offset within a word or doubleword. Immediate bit offsets larger than 31 are supported by using the immediate bit offset field in combination with the displacement field of the memory operand. The low-order 3 to 5 bits of the immediate bit offset are stored in the immediate bit offset field, and the high order 27 to 29 bits are shifted and combined with the byte displacement in the addressing mode. for a 16-bit operand size. It may do this even when only a single byte needs to be accessed in order to get at the given bit. Thus the programmer must be careful to avoid referencing areas of memory close to address space holes. In particular, avoid references to memory-mapped I/O registers. Instead, use the MOV instructions to load from or store to these addresses, and use the register form of these instructions to manipulate the data. CBW converts the signed byte in AL to a signed word in AX by extending the most significant bit of AL (the sign bit) into all of the bits of AH. CWDE converts the signed word in AX to a doubleword in EAX by extending the most significant bit of AX into the two most significant bytes of EAX. Note that CWDE is different from CWD. CWD uses DX:AX rather than EAX as a destination. CLC sets the carry flag to zero. It does not affect other flags or registers. CLD clears the direction flag. No other flags or registers are affected. After CLD is executed, string operations will increment the index registers (SI and/or DI) that they use. CLI clears the interrupt flag if the current privilege level is at least as privileged as IOPL. No other flags are affected. External interrupts are not recognized at the end of the CLI instruction or from that point on until the interrupt flag is set. #GP(0) if the current privilege level is greater (has less privilege) than the IOPL in the flags register. IOPL specifies the least privileged level at which I/O can be performed. Every execution of an ESC instruction is trapped if the TS flag is set. Execution of a WAIT instruction is trapped if the MP flag and the TS flag are both set. Thus, if a task switch was made after an ESC instruction was begun, the processor extension's context may need to be saved before a new ESC instruction can be issued. The fault handler saves the context and resets the TS flag. CLTS appears in operating system software, not in application programs. It is a privileged instruction that can only be executed at privilege level 0. CMC reverses the setting of the carry flag. No other flags are affected. CMP subtracts the second operand from the first but, unlike the SUB instruction, does not store the result; only the flags are changed. CMP is typically used in conjunction with conditional jumps and the SETcc instruction. (Refer to Appendix D for the list of signed and unsigned flag tests provided.) If an operand greater than one byte is compared to an immediate byte, the byte value is first sign-extended. CMPS compares the byte, word, or doubleword pointed to by the source-index register with the byte, word, or doubleword pointed to by the destination-index register. If the address-size attribute of this instruction is 16 bits, SI and DI will be used for source- and destination-index registers; otherwise ESI and EDI will be used. Load the correct index values into SI and DI (or ESI and EDI) before executing CMPS. The comparison is done by subtracting the operand indexed by the destination-index register from the operand indexed by the source-index register. Note that the direction of subtraction for CMPS is [SI] - [DI] or [ESI] - [EDI]. The left operand (SI or ESI) is the source and the right operand (DI or EDI) is the destination. This is the reverse of the usual Intel convention in which the left operand is the destination and the right operand is the source. The result of the subtraction is not stored; only the flags reflect the change. The types of the operands determine whether bytes, words, or doublewords are compared. For the first operand (SI or ESI), the DS register is used, unless a segment override byte is present. The second operand (DI or EDI) must be addressable from the ES register; no segment override is possible. After the comparison is made, both the source-index register and destination-index register are automatically advanced. If the direction flag is 0 (CLD was executed), the registers increment; if the direction flag is 1 (STD was executed), the registers decrement. The registers increment or decrement by 1 if a byte is compared, by 2 if a word is compared, or by 4 if a doubleword is compared. CMPSB, CMPSW and CMPSD are synonyms for the byte, word, and doubleword CMPS instructions, respectively. CMPS can be preceded by the REPE or REPNE prefix for block comparison of CX or ECX bytes, words, or doublewords. Refer to the description of the REP instruction for more information on this operation. CWD converts the signed word in AX to a signed doubleword in DX:AX by extending the most significant bit of AX into all the bits of DX. CDQ converts the signed doubleword in EAX to a signed 64-bit integer in the register pair EDX:EAX by extending the most significant bit of EAX (the sign bit) into all the bits of EDX. Note that CWD is different from CWDE. CWDE uses EAX as a destination, instead of DX:AX. Execute DAA only after executing an ADD instruction that leaves a two-BCD-digit byte result in the AL register. The ADD operands should consist of two packed BCD digits. The DAA instruction adjusts AL to contain the correct two-digit packed decimal result. AF and CF as described above; SF, ZF, PF, and CF as described in Appendix C.
Execute DAS only after a subtraction instruction that leaves a two-BCD-digit byte result in the AL register. The operands should consist of two packed BCD digits. DAS adjusts AL to contain the correct packed two-digit decimal result. AF and CF as described above; SF, ZF, and PF as described in Appendix C.
DEC subtracts 1 from the operand. DEC does not change the carry flag. To affect the carry flag, use the SUB instruction with an immediate operand of 1. OF, SF, ZF, AF, and PF as described in Appendix C.
Divisions are unsigned. The divisor is given by the r/m operand. The dividend, quotient, and remainder use implicit registers. Refer to the table under "Description"
OF, SF, ZF, AR, PF, CF are undefined. ENTER creates the stack frame required by most block-structured high-level languages. The first operand specifies the number of bytes of dynamic storage allocated on the stack for the routine being entered. The second operand gives the lexical nesting level (0 to 31) of the routine within the high-level language source code. It determines the number of stack frame pointers copied into the new stack frame from the preceding frame. BP (or EBP, if the operand-size attribute is 32 bits) is the current stack frame pointer. If the operand-size attribute is 16 bits, the processor uses BP as the frame pointer and SP as the stack pointer. If the operand-size attribute is 32 bits, the processor uses EBP for the frame pointer and ESP for the stack pointer. If the second operand is 0, ENTER pushes the frame pointer (BP or EBP) onto the stack; ENTER then subtracts the first operand from the stack pointer and sets the frame pointer to the current stack-pointer value. For example, a procedure with 12 bytes of local variables would have an ENTER 12,0 instruction at its entry point and a LEAVE instruction before every RET. The 12 local bytes would be addressed as negative offsets from the frame pointer. HALT stops instruction execution and places the 80386 in a HALT state. An enabled interrupt, NMI, or a reset will resume execution. If an interrupt (including NMI) is used to resume execution after HLT, the saved CS:IP (or CS:EIP) value points to the instruction following HLT. Divisions are signed. The divisor is given by the r/m operand. The dividend, quotient, and remainder use implicit registers. Refer to the table under "Description"
If the resulting quotient is too large to fit in the destination, or if the division is 0, an Interrupt 0 is generated. Nonintegral quotients are truncated toward 0. The remainder has the same sign as the dividend and the absolute value of the remainder is always less than the absolute value of the divisor. Add three clocks if the multiplier is a memory operand. IMUL performs signed multiplication. Some forms of the instruction use implicit register operands. The operand combinations for all forms of the instruction are shown in the "
When using the accumulator forms (IMUL r/m8, IMUL r/m16, or IMUL r/m32), the result of the multiplication is available even if the overflow flag is set because the result is two times the size of the multiplicand and multiplier. This is large enough to handle any possible result. IN transfers a data byte or data word from the port numbered by the second operand into the register (AL, AX, or EAX) specified by the first operand. Access any port from 0 to 65535 by placing the port number in the DX register and using an IN instruction with DX as the second parameter. These I/O instructions can be shortened by using an 8-bit port I/O in the instruction. The upper eight bits of the port address will be 0 when 8-bit port I/O is used. INC adds 1 to the operand. It does not change the carry flag. To affect the carry flag, use the ADD instruction with a second operand of 1. INS transfers data from the input port numbered by the DX register to the memory byte or word at ES:dest-index. The memory operand must be addressable from ES; no segment override is possible. The destination register is DI if the address-size attribute of the instruction is 16 bits, or EDI if the address-size attribute is 32 bits. INS does not allow the specification of the port number as an immediate value. The port must be addressed through the DX register value. Load the correct value into DX before executing the INS instruction. The destination address is determined by the contents of the destination index register. Load the correct index into the destination index register before executing INS. After the transfer is made, DI or EDI advances automatically. If the direction flag is 0 (CLD was executed), DI or EDI increments; if the direction flag is 1 (STD was executed), DI or EDI decrements. DI increments or decrements by 1 if a byte is input, by 2 if a word is input, or by 4 if a doubleword is input. INSB, INSW and INSD are synonyms of the byte, word, and doubleword INS instructions. INS can be preceded by the REP prefix for block input of CX bytes or words. Refer to the REP instruction for details of this operation. The following operational description applies not only to the above instructions but also to external interrupts and exceptions. The INT instruction generates via software a call to an interrupt handler. The immediate operand, from 0 to 255, gives the index number into the Interrupt Descriptor Table (IDT) of the interrupt routine to be called. In Protected Mode, the IDT consists of an array of eight-byte descriptors; the descriptor for the interrupt invoked must indicate an interrupt, trap, or task gate. In Real Address Mode, the IDT is an array of four byte-long pointers. In Protected and Real Address Modes, the base linear address of the IDT is defined by the contents of the IDTR. The INTO conditional software instruction is identical to the INT interrupt instruction except that the interrupt number is implicitly 4, and the interrupt is made only if the 80386 overflow flag is set. The first 32 interrupts are reserved by Intel for system use. Some of these interrupts are use for internally generated exceptions. INT n generally behaves like a far call except that the flags register is pushed onto the stack before the return address. Interrupt procedures return via the IRET instruction, which pops the flags and return address from the stack. In Real Address Mode, INT n pushes the flags, CS, and the return IP onto the stack, in that order, then jumps to the long pointer indexed by the interrupt number. #GP, #NP, #SS, and #TS as indicated under "
In Real Address Mode, IRET pops the instruction pointer, CS, and the flags register from the stack and resumes the interrupted routine. In Protected Mode, the action of IRET depends on the setting of the nested task flag (NT) bit in the flag register. When popping the new flag image from the stack, the IOPL bits in the flag register are changed only when CPL equals 0. If NT equals 0, IRET returns from an interrupt procedure without a task switch. The code returned to must be equally or less privileged than the interrupt routine (as indicated by the RPL bits of the CS selector popped from the stack). If the destination code is less privileged, IRET also pops the stack pointer and SS from the stack. If NT equals 1, IRET reverses the operation of a CALL or INT that caused a task switch. The updated state of the task executing IRET is saved in its task state segment. If the task is reentered later, the code that follows IRET is executed. #GP, #NP, or #SS, as indicated under "
The first clock count is for the true condition (branch taken); the second clock count is for the false condition (branch not taken). rel16/32 indicates that these instructions map to two; one with a 16-bit relative displacement, the other with a 32-bit relative displacement, depending on the operand-size attribute of the instruction. Conditional jumps (except JCXZ) test the flags which have been set by a previous instruction. The conditions for each mnemonic are given in parentheses after each description above. The terms "less" and "greater" are used for comparisons of signed integers; "above" and "below" are used for unsigned integers. Because there can be several ways to interpret a particular state of the flags, ASM386 provides more than one mnemonic for most of the conditional jump opcodes. For example, if you compared two characters in AX and want to jump if they are equal, use JE; or, if you ANDed AX with a bit field mask and only want to jump if the result is 0, use JZ, a synonym for JE. JCXZ differs from other conditional jumps because it tests the contents of the CX or ECX register for 0, not the flags. JCXZ is useful at the beginning of a conditional loop that terminates with a conditional loop instruction (such as LOOPNE TARGET LABEL). The JCXZ prevents entering the loop with CX or ECX equal to zero, which would cause the loop to execute 64K or 32G times instead of zero times. LAHF transfers the low byte of the flags word to AH. The bits, from MSB to LSB, are sign, zero, indeterminate, auxiliary, carry, indeterminate, parity, indeterminate, and carry. The LAR instruction stores a marked form of the second doubleword of the descriptor for the source selector if the selector is visible at the CPL (modified by the selector's RPL) and is a valid descriptor type. The destination register is loaded with the high-order doubleword of the descriptor masked by 00FxFF00, and ZF is set to 1. The x indicates that the four bits corresponding to the upper four bits of the limit are undefined in the value loaded by LAR. If the selector is invisible or of the wrong type, ZF is cleared. If the 32-bit operand size is specified, the entire 32-bit value is loaded into the 32-bit destination register. If the 16-bit operand size is specified, the lower 16-bits of this value are stored in the 16-bit destination register. All code and data segment descriptors are valid for LAR. the requested 16-bit register destination. in the requested 32-bit register destination. The LGDT and LIDT instructions load a linear base address and limit value from a six-byte data operand in memory into the GDTR or IDTR, respectively. If a 16-bit operand is used with LGDT or LIDT, the register is loaded with a 16-bit limit and a 24-bit base, and the high-order eight bits of the six-byte data operand are not used. If a 32-bit operand is used, a 16-bit limit and a 32-bit base is loaded; the high-order eight bits of the six-byte operand are used as high-order base address bits. The SGDT and SIDT instructions always store into all 48 bits of the six-byte data operand. With the 80286, the upper eight bits are undefined after SGDT or SIDT is executed. With the 80386, the upper eight bits are written with the high-order eight address bits, for both a 16-bit operand and a 32-bit operand. If LGDT or LIDT is used with a 16-bit operand to load the register stored by SGDT or SIDT, the upper eight bits are stored as zeros. LGDT and LIDT appear in operating system software; they are not used in application programs. They are the only instructions that directly load a linear address (i.e., not a segment relative address) in 80386 Protected Mode. These instructions read a full pointer from memory and store it in the selected segment register:register pair. The full pointer loads 16 bits into the segment register SS, DS, ES, FS, or GS. The other register loads 32 bits if the operand-size attribute is 32 bits, or loads 16 bits if the operand-size attribute is 16 bits. The other 16- or 32-bit register to be loaded is determined by the r16 or r32 register operand specified. When an assignment is made to one of the segment registers, the descriptor is also loaded into the segment register. The data for the register is obtained from the descriptor table entry for the selector given. LLDT loads the Local Descriptor Table register (LDTR). The word operand (memory or register) to LLDT should contain a selector to the Global Descriptor Table (GDT). The GDT entry should be a Local Descriptor Table. If so, then the LDTR is loaded from the entry. The descriptor registers DS, ES, SS, FS, GS, and CS are not affected. The LDT field in the task state segment does not change. The selector operand can be 0; if so, the LDTR is marked invalid. All descriptor references (except by the LAR, VERR, VERW or LSL instructions) cause a #GP fault. 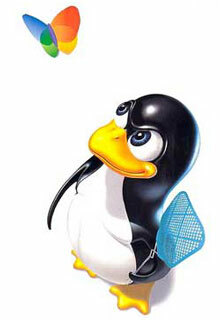 LLDT is used in operating system software; it is not used in application programs. LMSW loads the machine status word (part of CR0) from the source operand. This instruction can be used to switch to Protected Mode; if so, it must be followed by an intrasegment jump to flush the instruction queue. LMSW will not switch back to Real Address Mode. LMSW is used only in operating system software. It is not used in application programs. The operand-size attribute has no effect on this instruction. This instruction is provided for compatibility with the 80286; 80386 programs should use MOV CR0, ... instead. The LOCK prefix causes the LOCK# signal of the 80386 to be asserted during execution of the instruction that follows it. In a multiprocessor environment, this signal can be used to ensure that the 80386 has exclusive use of any shared memory while LOCK# is asserted. The read-modify-write sequence typically used to implement test-and-set on the 80386 is the BTS instruction. An undefined opcode trap will be generated if a LOCK prefix is used with any instruction not listed above. XCHG always asserts LOCK# regardless of the presence or absence of the LOCK prefix. The integrity of the LOCK is not affected by the alignment of the memory field. Memory locking is observed for arbitrarily misaligned fields. Specifies a memory operand that does not exactly overlap the destination operand. Locking is not guaranteed for partial overlap, even if one memory operand is wholly contained within another. LODS loads the AL, AX, or EAX register with the memory byte, word, or doubleword at the location pointed to by the source-index register. After the transfer is made, the source-index register is automatically advanced. If the direction flag is 0 (CLD was executed), the source index increments; if the direction flag is 1 (STD was executed), it decrements. The increment or decrement is 1 if a byte is loaded, 2 if a word is loaded, or 4 if a doubleword is loaded. If the address-size attribute for this instruction is 16 bits, SI is used for the source-index register; otherwise the address-size attribute is 32 bits, and the ESI register is used. The address of the source data is determined solely by the contents of ESI/SI. Load the correct index value into SI before executing the LODS instruction. LODSB, LODSW, LODSD are synonyms for the byte, word, and doubleword LODS instructions. LODS can be preceded by the REP prefix; however, LODS is used more typically within a LOOP construct, because further processing of the data moved into EAX, AX, or AL is usually necessary. LOOP decrements the count register without changing any of the flags. Conditions are then checked for the form of LOOP being used. If the conditions are met, a short jump is made to the label given by the operand to LOOP. If the address-size attribute is 16 bits, the CX register is used as the count register; otherwise the ECX register is used. The operand of LOOP must be in the range from 128 (decimal) bytes before the instruction to 127 bytes ahead of the instruction. The LOOP instructions provide iteration control and combine loop index management with conditional branching. Use the LOOP instruction by loading an unsigned iteration count into the count register, then code the LOOP at the end of a series of instructions to be iterated. The destination of LOOP is a label that points to the beginning of the iteration. LTR loads the task register from the source register or memory location specified by the operand. The loaded task state segment is marked busy. A task switch does not occur. LTR is used only in operating system software; it is not used in application programs.